While many people do not realize the damage that a major solar storm could cause, others are quite on edge about the effects that could ensue. We are much weaker than you might think and are very much at risk to some serious problems if something big enough were to occur. An unpublished report from FEMA was recently released to Government Attic after it was requested under the FOIA (Freedom of Information Act). This report basically goes over what kinds of damage could happen if a major solar storm were to really come forth and hit the US. This storm in the report is referred to as a ‘100-year geomagnetic storm’ and it would cause damage that most people could never truly imagine. Some of the things mentioned that might occur include the collapse of major power grids and that is something that would take years to get back working properly. This report was made back in 2010 but was not requested until 2016 and from there remained unreleased until May of 2017. While it was published by Government Attic soon after being released, many still have yet to see it. It’s ability to somehow remain so in the dark is quite alarming and has many people wondering just how uneducated many are on the threats of solar storms and other things of the sort. This report covers a number of scenarios that could take place given the potential for a serious solar storm. There are several different things mentioned and everything from electromagnetic pulses to solar flares are gone over. You can click here to view the full report for yourself. 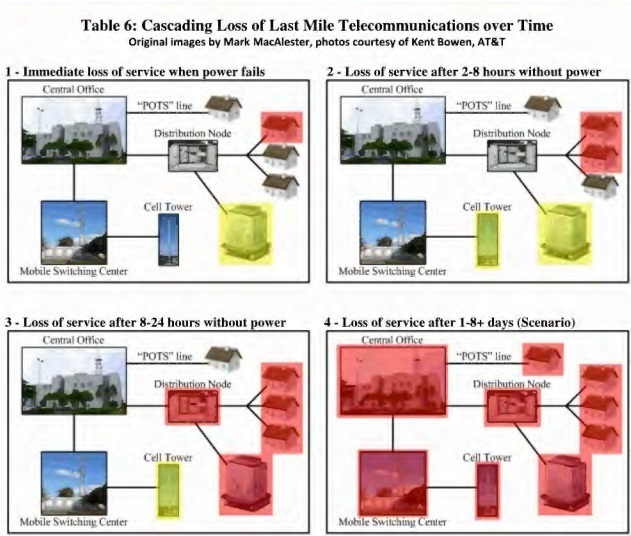 Within it are lots of diagrams and charts that weigh out the risks of different possible effects and one even shows the amount of time that it would take for communication on most levels to be lost if and when electricity fails (see below). This kind of thing is much scarier than most of us would like to admit. Could you imagine being without electricity for 4 years or even more than that? How would life continue forward? “Twenty minutes after the radio blackout event, the solar radiation storm arrives. Showers of energetic protons, electrons, and other particles accelerated to near-relativistic speeds damage the solar panels which provide power to satellites and can cause ‘anomalies’ from minor electrical system upsets and command failures to complete loss of the satellite(s). Sure, these solar storms might not be able to harm our bodies while we are here on planet Earth, but they can affect the way in which we live. Coronal Mass Ejections can be dangerous to our technologies and cause a lot more problems than we can currently handle. CMEs have already been known to black out entire cities as is, more could be to come in the future if we do not figure out a way to really protect ourselves. The most powerful solar storms send coronal mass ejections (CMEs), containing charged particles, into space. If Earth happens to be in the path of a CME, the charged particles can slam into our atmosphere, disrupt satellites in orbit and even cause them to fail, and bathe high-flying airplanes with radiation. They can disrupt telecommunications and navigation systems. They have the potential to affect power grids and have been known to black out entire cities, even entire regions. People talking about power failures from solar storms always point back to March 13, 1989 – 23 years ago. A CME caused a power failure in Québec, as well as across parts of the northeastern U.S. In this event, the electrical supply was cut off to over 6 million people for 9 hours. But it’s possible for solar storms to be even more powerful than the one that caused the 1989 Québec and U.S. northeast blackout. The largest known solar flare took place on August 28, 1859. It was observed and recorded by Richard C. Carrington, and so it’s sometimes called the Carrington Event, or sometimes the 1859 Solar Superstorm. The accompanying coronal mass ejection (CME) traveled to Earth in only 17 hours, rather than the usual three or four days. The largest recorded geomagnetic storm occurred. Aurorae, or northern lights, were seen in many parts of the world. Telegraph systems throughout Europe and North America failed. 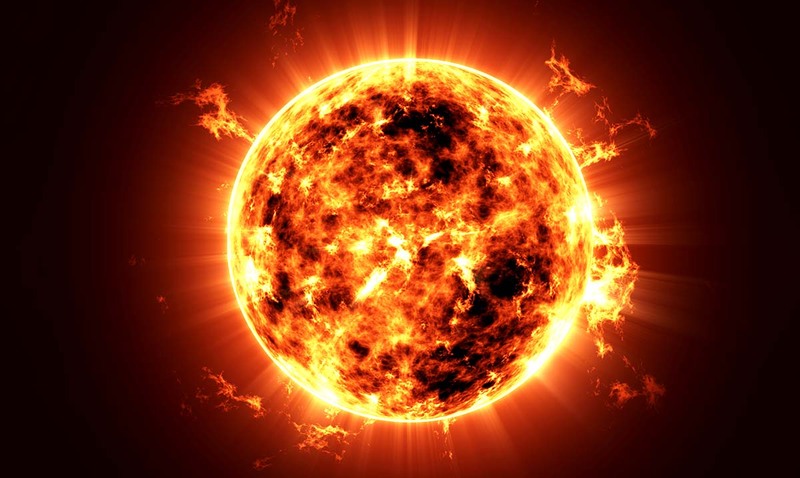 What would happen if such a powerful solar storm occurred today? And is such a powerful solar storm likely to occur again in our lifetimes? No one knows the answers to these questions with certainty. But scientists have become increasingly aware of the possibility, especially since 2008 when Sten Odenwald and James Green published an article in the magazine Scientific American about the Carrington Event and possible consequences if such a powerful storm on the sun occurred today. Does this make you nervous? If it does, you’re not alone. To learn more about solar storms and other things of the sort please check out the video below.